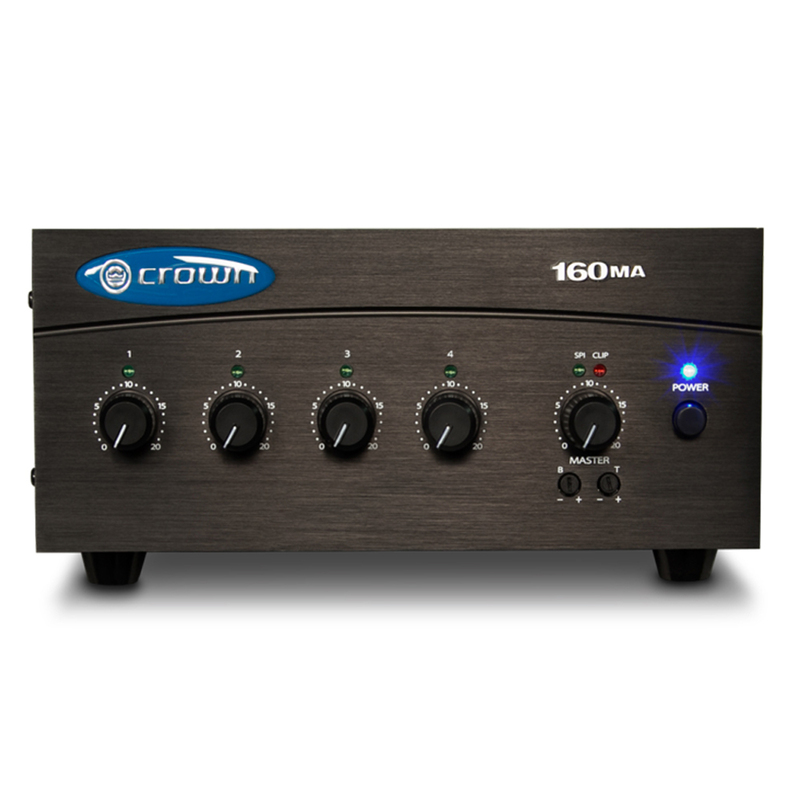 Crown's 135MA and 160MA are high value mixer-amplifiers for commercial audio. They provide 8-ohm and constant-voltage outputs (70V and 100V). Typical uses are paging, background music, and music-on-hold. 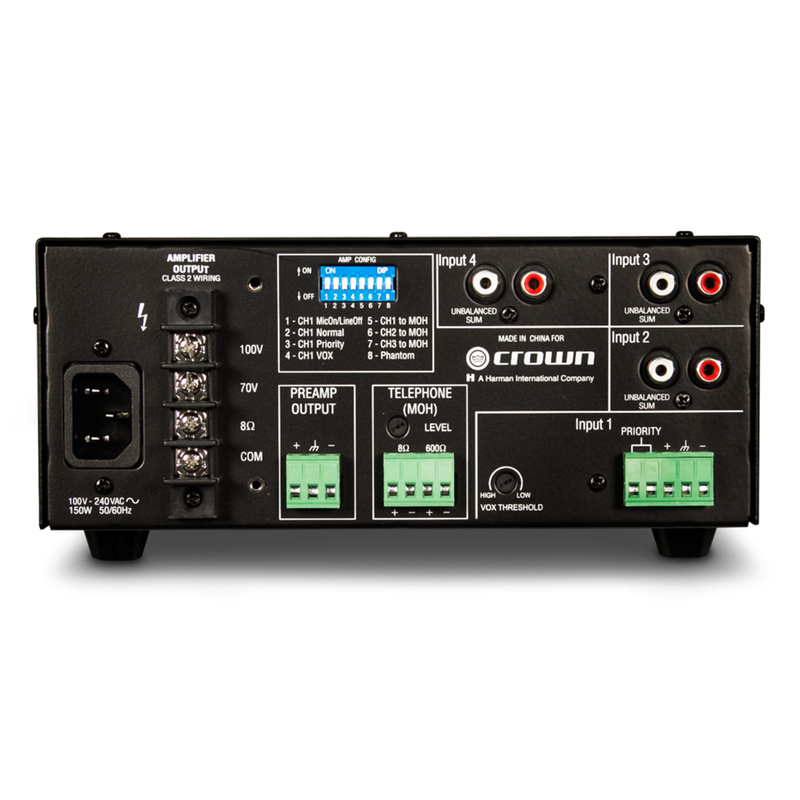 The 135MA provides 3 inputs (each with a volume control) and a 35W amplifier output. 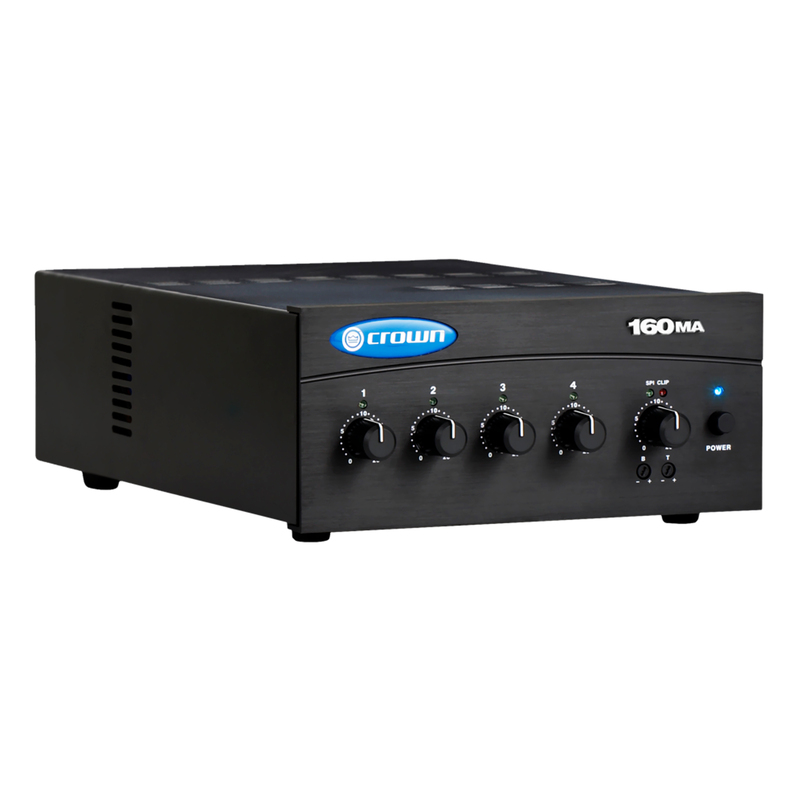 The 160MA provides 4 inputs (each with a volume control) and a 60W amplifier output. Other features include priority muting, voice activated muting, phantom power, and bass and treble controls.